Osias Beert, Still Life with Various Vessels on a Table (detail), about 1610. Oil on canvas. Susan and Matthew Weatherbie Collection. Rose-Marie and Eijk van Otterloo and Susan and Matthew Weatherbie have made a commitment to give their exceptional collections of 17th-century Dutch and Flemish art to the Museum—a donation that will constitute the largest gift of European paintings in MFA history. 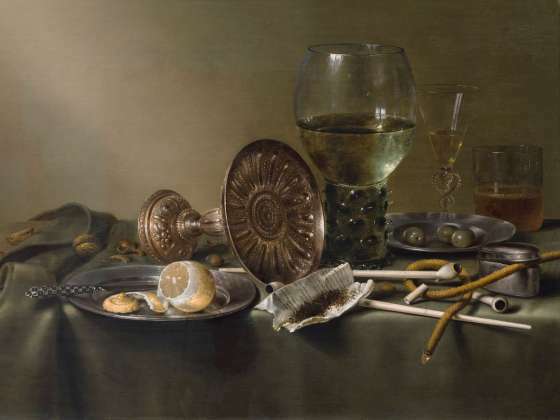 The Boston-area collectors plan to give the MFA not only their art collections, but also funding to establish a Center for Netherlandish Art at the MFA, the first of its kind in the US. In addition, the Van Otterloos will give a major research library to serve as a resource for the Center. By integrating these two exceptional private collections—formed by the Van Otterloos and Weatherbies through decades of committed connoisseurship—with the MFA’s, the Museum will nearly double its holdings of Dutch and Flemish paintings. Beautifully conserved and of the highest quality, works from the promised gifts include all categories of Dutch painting for which the republic of the Netherlands was (and is) best known—portraits, genre scenes, landscapes, seascapes, still lifes, flower pictures, cityscapes and architectural paintings. In celebration of this historic milestone, the MFA has created a special display in its European galleries, juxtaposing a selection of works from each collection with Dutch and Flemish paintings from the MFA’s holdings. The Van Otterloo and Weatherbie gifts, together with the MFA’s collection, will serve as the foundation for all activities of the Center for Netherlandish Art. 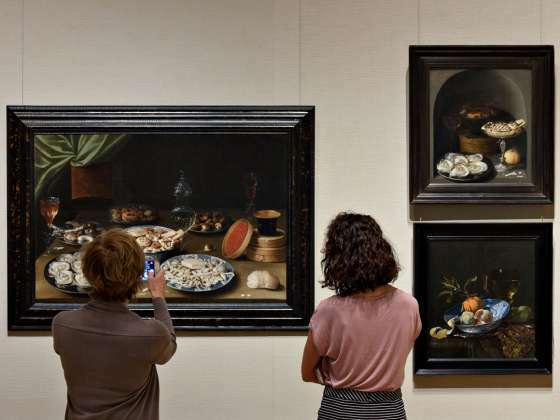 The Center, expected to launch in 2020, will be dedicated to preserving, studying and sharing art from the 17th-century Netherlands—countries known today as Holland and Belgium—in New England and around the world. The Center’s programming and exhibitions will be a magnet for curators and conservators; collectors and researchers; scholars and students—encouraging collaboration across disciplines. The shared work and openness to new perspectives will help keep the field of Netherlandish art meaningful and vibrant for future generations. Academics from around the world will enjoy access to one of the premier resources for Dutch and Flemish art. A promised gift from the Van Otterloos, the Haverkamp-Begemann Library encompasses more than 20,000 monographs, catalogues and rare books assembled by the late art historian Egbert Haverkamp-Begemann, a mentor to many active scholars and curators of Dutch and Flemish art in the US. Additionally, the Center will create opportunities for collaboration on research and publications. Rose-Marie and Eijk van Otterloo and Susan and Matthew Weatherbie have made a commitment to give their exceptional collections of 17th-century Dutch and Flemish art to the Museum.